SaberLight is a revolutionary plasma beam Lighter that uses electricity instead of butane to generate a plasma wave hotter than fire. Saberlight took over 2 years of development and the results speak for themselves . . . this plasma wave can set anything ablaze instantly in futuristic style. 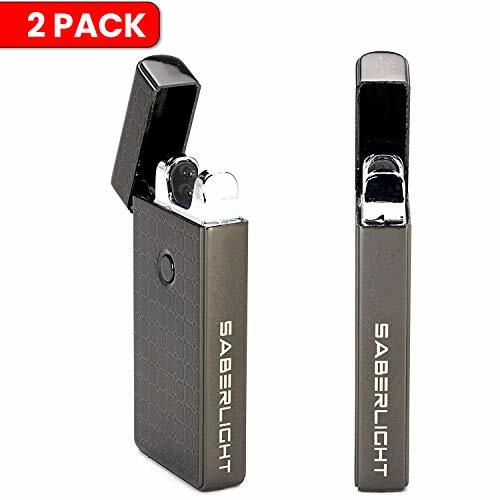 Numerous studies have shown that traditional butane fuel is extremely toxic to humans so instead of using harmful chemicals like butane Saberlight uses an ultra powerful lithium ion cell to create a super heated plasma wave. It also has the added advantage of being completely windproof, splashproof and airport approved so you can take your lighter with you anywhere you go. 2 PACK OF SABERLIGHTS - Saberlight uses star wars like plasma wave technology to create a plasma wave hotter than fire. Use SaberLight for anything a traditional lighter can do but better.